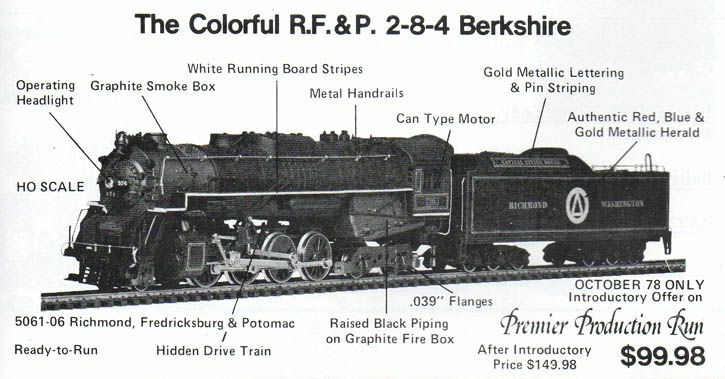 AHM's 1980 catalog labels this Berk as Commemorative Blue, though it is still the American Railroads model. The American Railroads Commemorative was a special operation ran in 1969 from the Eastern U.S. to the Utah site of the driving of the Golden Spike completing the Transcontinental Railroad in 1869. The Berkshire led the special train to the Midwest, where it was replaced by a new Union Pacific DD40AX Centennial. 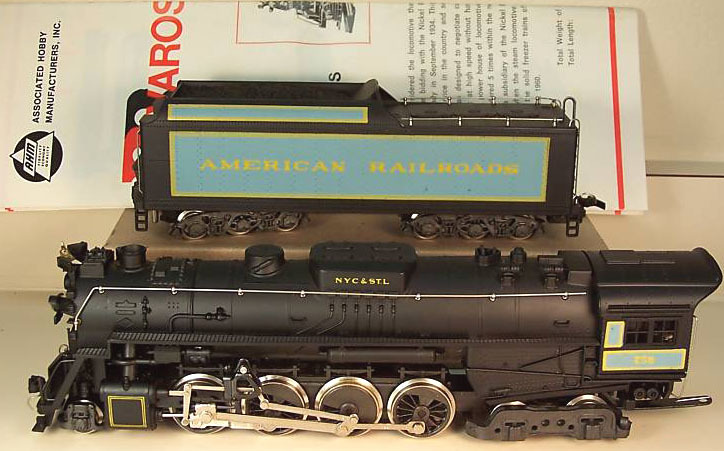 One of the many Rivarossi Italian made locos in the AHM line, the 2-8-4 Berkshire was available in your choice of Nickel Plate Road and Pere Merquette when new in the late 1960s selling for $27.95. The 1977 AHM price list has the Berkshire retailing for $79.98, the 1980 price is $229.98. AHM's Berkshire makes a final appearance in the company's 1981 product catalog. AHM Parts Sheets are presented above for the 2-8-4 Berkshire. This information shows the 1967 original issue and a revision made to the design in 1971. You may click on either image to open a larger version for best viewing.